Gone are the days when all you needed to sell your car was a showroom and some white boards in the car windows telling your potential customers their prices. Nowadays, people are embracing the digital age, with a reported 81% of people using their mobile phones to research potential car purchases before committing to buy. This means that it’s more important than ever to develop an online presence to connect with your customers. So how do you go about it? The first way to tackle this issue is to create a website full of engaging content for any potential customers to enjoy. Adding detailed listings of each vehicle you have for sale is crucial. Vehicle listings should aim to answer any questions your customers may have about their potential purchase, for example, how big is the boot? Does the car have 4WD? Is it a manual or automatic? Adding high-quality images from multiple angles are essential to lure potential customers to your garage forecourt. Also, if you have the means to do so consider adding 360-degree videos of the vehicle’s interior and exterior so customers can see at a glance what attributes a potential purchase has. Think about the wider considerations when purchasing a car. Giving website visitors a rough idea of how much car tax will cost for each individual car, and what insurance group the vehicle will fall under not only showcases your knowledge of the wider car industry but also gives your customers less reason to click away from your site for research. Do include your contact details in case there is anything you haven’t covered. Often it is those that make life simpler for the consumer – by operating as a one-stop information shop – that make the sales. The website for motors.co.uk fits any device. 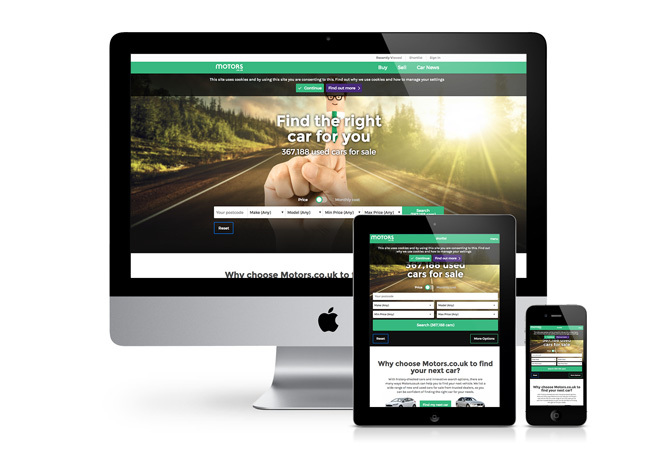 Your website should also be mobile responsive to deal with the needs of today’s customers. It’s common for customers to research potential car purchases at home and also while they’re on the go using their smartphones. Don’t be surprised to see your customers on their smartphones while they are browsing vehicles on your premises. It is becoming much more common for customers to compare vehicles on the web while strolling around the forecourt, so make sure that your website is as accessible as possible. As well as listing your vehicles online, you should also be careful to include content that shows that you are knowledgeable in your field to build a higher level of trust between you and the reader. Adding online guides that may interest your customers such as ‘What to look for in a family car’ or ‘Ten ways to get your car ready for winter’ will all show that you are engaging with your industry in a positive way. Adding rich content such as photos, interactive graphics and videos will also boost your Google page listings as Google consider this content as more useful for your readers. Another way to build trust in your brand and increase the social interaction with your customers is to invite user-generated content onto your website. This could be in the form of blog posts, customer photos of their purchases or reviews of your service. Ideally, you will build a way to respond to reviews into your web design so that you can increase customer interaction. 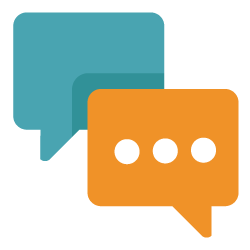 Adding live chat functionality to your website allows your customers to ask any pressing questions they may have from the comfort of their home or via their mobile. 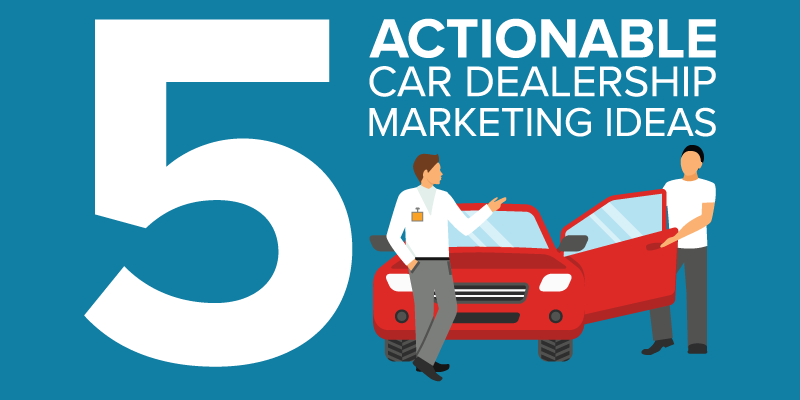 This personal interaction is a great way of building trust and shows a level of customer commitment that can be a deciding factor between you and another dealership when the customer purchases their car. There are options available for businesses to outsource their live chat to agents, although personally, we wouldn’t recommend them for a car dealership. Many questions coming from live chat will be about your available stock or finance questions, which will need to be answered by someone directly involved in the business, as they have the relevant knowledge. Instead, organise shifts for your salespeople to man the live chat so that there is always a dedicated member of staff to answer customer queries during business hours. Sending newsletters is one of the easiest ways to contact your potential customers, and now it is easier than ever to make sure that they are targeted directly to those who will benefit from them the most by using search data gathered from your website. Perhaps a customer searched on your website for SUVs. In that case, you should probably avoid sending them an email showing your great prices on sports cars, as it is unlikely to appeal. Address the customer by name to give a personal touch, and you’re halfway there. Of course, this all helps if you have a way to gather their information in the first place. Add an option on your website for a newsletter signup and encourage your customers to leave their details when querying one of the cars on your site by live chat. Check out this article for tips on building your email list. 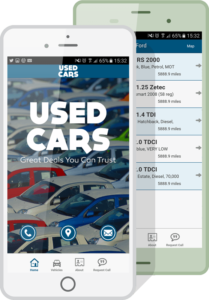 Creating your own car dealer geo-directory app is a great way of deepening customer loyalty and increasing your sales leads. Simply list your vehicles on the app by location and the app will use GPS to locate your users, directing them to listed vehicles based on where they are. Streamlining your search in this way can cut down on what we like to call ‘searching fatigue’ that feeling of endlessly scrolling through pages of content without getting anywhere. Avoiding this is essential as potential customers will eventually get bored and leave your app if they feel that they are struggling to find what they are looking for. The app also uses forms to capture data, which is incredibly useful for gaining contact details and the vehicle needs of the app users. From this data, you can send push notifications directly to those users to let them know when new vehicles have been added that meet their criteria. Users can then contact you using the in-app messenger centre or from the one-touch call facility to discuss any vehicles they would like more information on. An added bonus of using a personalised app is that you can use your own images and colour schemes from your website and Facebook page and tailor the app to suit your needs without having to write any code. The app can also be submitted to Android and the iOS store simply and easily using an online form rather than struggling to submit to the stores themselves, making for a much quicker, painless process. With billions of users on Facebook and Twitter, it is becoming essential to have an online presence where you can interact with your potential customers in real-time to answer any queries they may have. Facebook pages also allow your customers to review your business, which providing you have a good reputation, can boost your potential customers. Consider adding promotions on your social media pages such as competitions to draw new page viewers in. You can also encourage more readers to your Facebook page and website by paying Facebook for additional advertising on their Facebook Business page. The starting costs can be very reasonable, too. Also, try monitoring your social media presence with a tool such as Hootsuite where you can view analytics and see at a glance what your customers are saying about you online. Learn from this data, and you can tailor your social media interactions to boost your customer base and increase reader engagement.